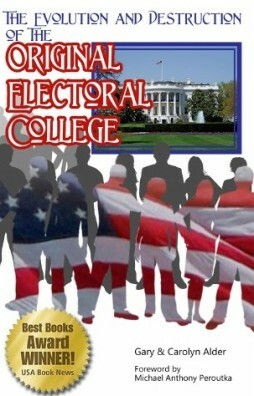 Before we can adequately explain the differences in the results of using a party-based method of presidential election as opposed to the results of using the original Electoral College System for electing a president we must identify the goals of each. In a nutshell, the difference in the goals of the systems is between quality and electability. To find quality requires the application of correct principles. Electability, on the other hand, is based upon strategy—often using its less noble variety, stratagem (trickery or deceit). If your system only produces the best candidates, your system will always produce the best presidents. Of course this is true for all elected positions, but if we can sell the idea for choosing presidents the rest will follow. The goal of the original electoral system is to locate the best qualified candidates possible. There is no win/lose issue with this electoral system. The best interest of the country is to find the most qualified President. The methodology is to choose the best individual from a field of the best candidates available. The old adage the office should seek the man not the man seek the office certainly applies to the original electoral system. That is exactly what the result of functioning in the constitutionally defined system would have been. Sadly, as a nation we did not stay on the high road, but rather yielded to our self-serving interests and reverted to the party methods and procedures so typical of mob rule. The president of the United States is elective, and what is a capital improvement on the best governments, the mode of chusing him excludes the danger of faction and corruption. This proves how little dependence can be placed on theory. Twelve years experience, or four elections demonstrates the contrary. The party system operates on the premise that each party already considers itself better than the other parties, and therefore the most electable candidate from their party must be found. A party system is all about win/lose. The political parties soon learned that running multiple candidates from the same party is a recipe for losing the final election. The party system strategy is to narrow the field of candidates to one per party. The party that can get the most votes wins. To take the shortcut or the bypass in the selection for president, a plurality of votes is insufficient, a majority of the Electors must vote for a candidate. To get the vote of a majority of Electors in a party-based system a two party system is the only realistic alternative. The significant influence of additional parties would likely preclude obtaining a majority of Electors. The obvious strategy from a party perspective is first to get Electors chosen from their party and then to influence those Electors to “nominate” the predetermined party choice. This eliminates only part of the challenge. The big obstacle to a conversion to party rule (a democracy or simple republic) is the system outlined in the original Constitution. The Constitution requires each Elector to vote for two persons. That provision requires additional machinations from the parties to keep presidential candidates from opposing men of their own party. The party solution to this dilemma was referred to as the “designation” principle, which is to say that one of the nominees was intended as a presidential candidate and the other as a vice-presidential candidate. Of course there is no such constitutional provision, but the idea readily caught on. The next strategy that the parties resorted to was to team up presidential and vice-presidential candidates to garner votes from various parts of the nation and solidify support from various regional and ideological interests. The challenge for a party-based system superimposed upon the Electoral College System is to achieve party control over what should have been the prerogative of independent Electors. “Hijacking” (including ignoring, misinterpreting, and misusing the Constitution) is one way to accomplish this. Amending the Constitution is another alternative. Both were used.